Peace in Medicine is integrating with its longtime partner SPARC, the San Francisco Patient and Resource Center, a Mission Street dispensary that sells and provides about $10 million in cannabis products each year to its members.There are 12,000 active Peace in Medicine members, whose doctors’ recommendations are current and valid, and 20,000 active SPARC members. The move comes at a time when marijuana collectives are preparing to meet local and state regulations and compete for patients and customers amid predictions the market will be flooded with products.Erich Pearson, chief executive officer of both Peace in Medicine and SPARC, said the organizations began integrating operations two years ago to remain competitive in anticipation of the new rules and requirements. The melding of the two groups comes after years of partnership between Pearson and Robert Jacob, who started Peace in Medicine in 2007.J acob helped Pearson understand the dispensary model when he was opening his Mission Street storefront in 2010. Pearson helped improve the Sonoma County collective’s cultivation practices. Both organizations have roots in San Francisco’s AIDS movement. Jacob worked with HIV-positive and homeless youth before founding the Sebastopol dispensary in 2007 with about two dozen marijuana farmers and patients. The organization now has locations at the Gravenstein Station marketplace on Sebastopol Avenue and on North Dutton Avenue in Santa Rosa. 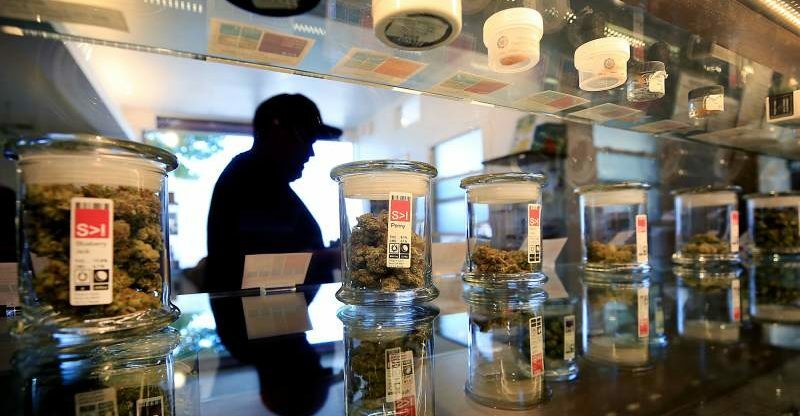 Pearson moved to San Francisco from Indiana in 1998, two years after California voters passed Proposition 215 decriminalizing medical marijuana use. He started a collective that provided pot to a clientele of patients through an AIDS hospice program in San Francisco. Jacob, 40, of Sebastopol, said after founding the collective his job quickly evolved into a public role, educating people and city leaders about how marijuana can be used as medicine and assuaging fears from community members concerned about the plants. Jacob was active in local politics. He ran for Sebastopol City Council in 2012 and won, becoming one of the first elected officials in the state to openly make a living in medical marijuana. In 2008, Pearson and Jacob met at a fundraiser in Los Angeles, and began working together. Jacob invited Pearson to Sebastopol and opened the books to show him how the dispensary functioned. “Erich is one of the greatest growers there is. The collaboration grew from there,” Jacob said. Peace in Medicine’s dispensaries feature a health clinic-like atmosphere with services including acupuncture and massage, and a variety of topical meetings for patients. “His community approach was first and foremost what resonated with me,” Pearson said. The organizations will remain separate mutual benefit corporations under California law, which gives them nonprofit status as organizations set up to serve their memberships. They have separate boards of directors with Pearson at the helm of operations. Pearson, who is still registered to vote in San Francisco, said he’s been living full time in Sonoma County since February and plans to phase out all indoor cultivation while creating a new farm for the dispensaries focused on biodynamic and organic principles. Alexander Carpenter, a cannabis industry consultant who heads the Sonoma County Cultivation Group, said the merger foreshadows future consolidations as other organizations position themselves to survive the wave of regulations from both local governments and the state. Jacob has taken several steps back from public life and his role at the dispensary after a decade of being at the forefront of marijuana politics in Sonoma County. He didn’t seek re-election on the Sebastopol City Council, finishing his term in December 2016. He took a leave of absence in March of last year to care for his ailing mother, and officially stepped down and gave the reins to Pearson last month. Jacob is joining a Sebastopol cannabis consultancy company, 421 Group. 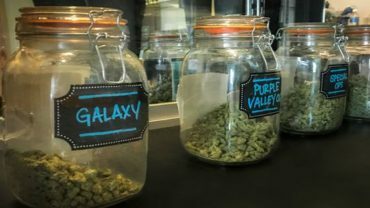 Patients have for at least a year been seeing more SPARC branded flowers, edibles and concentrates at the store, along with the San Francisco organization’s Marigold outdoor-grown brand. The Peace in Medicine signs won’t be swapped out yet. It could take several weeks or months, depending on city rules. Jacob said he thinks the organizations are smart to integrate, and will likely result in more resources for the Sonoma County dispensaries to provide a higher level of service.